Perfect is boring. No one likes the person who is perfect, or thinks he’s perfect, or strives always to be perfect. It’s exhausting and thankless work to be perfect, and honestly, it is really annoying to the rest of us. Because at the end of the day, none of us is perfect and in that imperfection, and our daily quest to find our best self, lies the richness of life. This shift in mindset was hard for me. I am your classic over-achieving, type A, obsessive must make all changes now and they must be the best, new, engaging proficiency-based lessons possible with no downtime during transitions and using all the 12 items on my TEAM evaluation form in every class in 47 minutes every day while maintaining 90/10 language input and having students show progress every day with a perfectly formed response , beautifully pronounced, which attempts to use complex structures, varied time frames and rich vocabulary appropriate to the topic. WHAT????!!!!!! I was killing myself and my students, as well as our love of learning. We had lost sight of the real reason we were all signed up for this class. We wanted to speak–let’s face it, that’s the main reason we take a foreign language and the reason we pick the one we pick. But we, myself included, had gotten so bogged down in the details that we had forgotten why we were there in the first place. And then I had an epiphany: Perfect is boring. The “perfect is boring” mantra has become part of our daily target in my classes. As we shift our focus to be more proficiency based, the need for “perfection”, in the form of the perfect grammar answer aligned to the most minute grammar detail, ceases to be the ultimate goal. Communication, real communication, especially in a language new to us, is messy and scary and full of pitfalls. But the satisfaction that comes when we have communicated our ideas and opinions to others, and they understood us, is unparalleled. 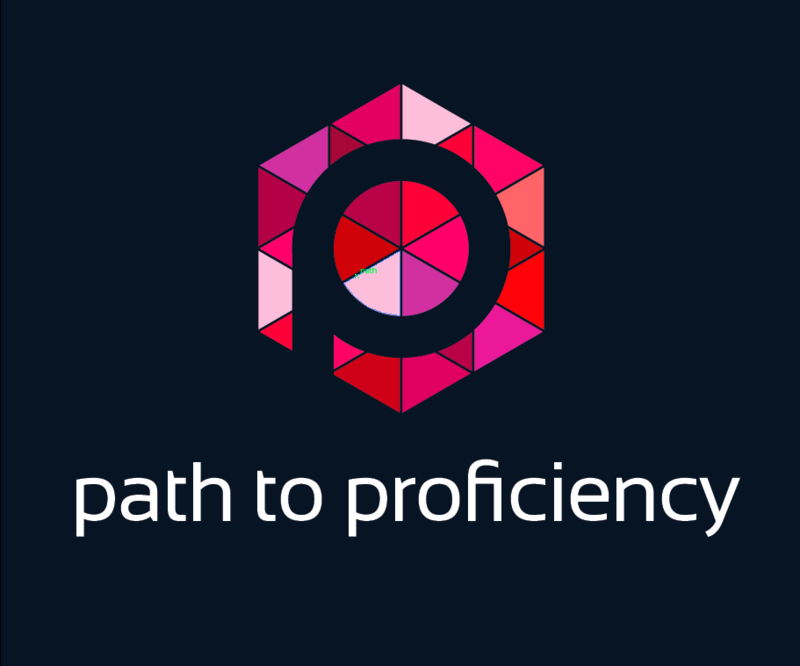 We all struggle to push our students to move forward on the path to proficiency while also keeping their self-consciousness (or affective filter for all you Krashen lovers) from impeding their growth. I want my students to speak French. Period. Full stop. All the other things (like the grammar, and pronunciation and proper register and rich, varied vocabulary) are the icing on the cake. Yes, that pronunciation was wrong. Yes, that was more franglais, than français. Yes, the verb was left in the infinitive. And yes, I need to correct all that. And yes, I will correct all that. But never at the expense of their joy and excitement. I want them to speak French, with all their messy, ugly imperfection. How many times do we make mistakes in our native language? How many times do we forget which word we want to use and have to use circumlocution? How many times do we mesh two words together because our mouths can’t keep up with our brains? How many times do we start a sentence and have to stop and reform the idea and how we want to express it? If our mother tongue is this much trouble, then why are we shocked when a target language poses the same pitfalls? Perfect is boring. And unrealistic. So I tell myself and my students every day: perfect is boring. Perfect doesn’t show me our struggles, our perseverance, our hard work, our self-motivation, and determination. Perfect doesn’t give us that feeling of accomplishment when we know we’ve done something we’ve never done before—we’ve just expressed our own ideas and opinions about a specific topic in another language! Living the mantra “perfect is boring” isn’t always easy. If your students are like mine, they want to script it all out and know every word and have the whole 47-min class planned down to the last “t” so as not to make one mistake. But who plans life? And who plans conversation? So, every day, we remind ourselves– perfect is boring. If we were perfect speakers already, we wouldn’t be in this class. And then we’d really be missing all the fun! The growing and evolving, from novice to intermediate to advanced, laughing at our mistakes, learning to enjoy the process, IS the fun. Realizing that if we let go of perfection and just do it, we achieve so much more. And really, the imperfect class sounds so much more fun and rewarding to teach. Perfect is boring. Thank you thank you…for writing so well what I believe….that it’s not about perfect but rather about communicating. My students tell me that the most important thing they learn in class is the courage to risk/try…Great post! Thanks. We have to keep the goal in mind–so easy to get bogged down in the details! Proficiency on!!!! I am a district coordinator for a district that has embraced proficiency based instruction. Unfortunately, many of my teachers are still struggling to let go of the idea of perfection. This is so ‘perfect’ (no pun intended), and I wish there was some way I could make it required reading for all 110 of my teachers! Thanks for your honesty and acknowledgement of the true reason we all want to learn a second language!